One of my favorite subjects that I get to teach is homeschool science. The variety of topics available to study under the umbrella of science means that there is something to interest any child. 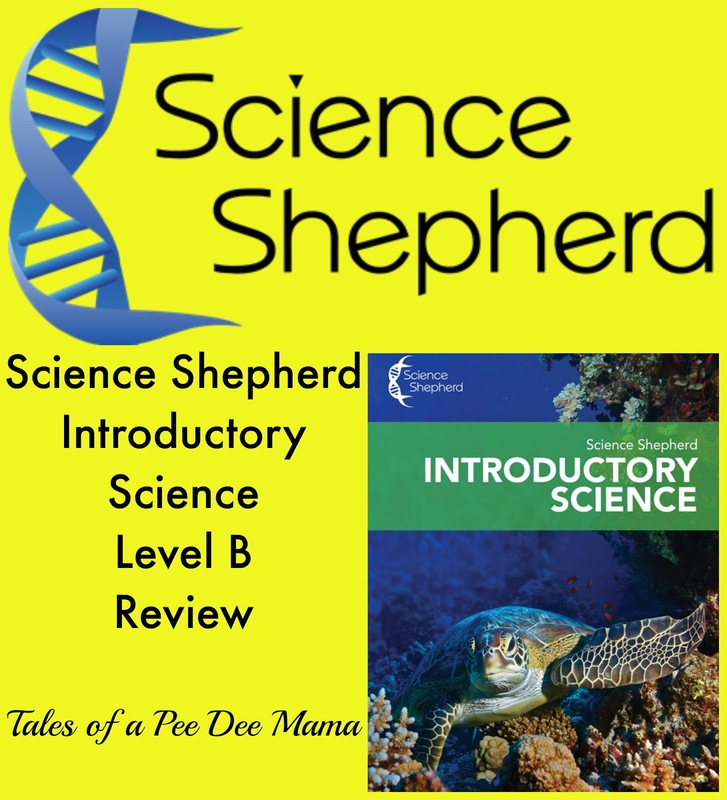 We've been learning a lot with our new science curriculum, Introductory Science Level B, from Science Shepherd. Introductory Science Level B is recommended for ages 9 to 11, so I've been using this with Little Red. Even though Sassy is 8, I probably could have used this with her as well. Science Shepherd has divided each week into 5 days of videos and workbook activities, which made it very easy for me to add to my lesson plans. Since I have to write individual lesson plans for each of my 5 children, anything that makes planning easier is a win in my book. Each day, Little Red watches a video and then completes the corresponding workbook pages. The videos are short, no more than 5 minutes, but very informative. After watching the video, there are a few workbook pages to complete that review the information on the video. Usually there is one page of comprehension questions and one or two pages of activities. Multiple choice - Three choices are listed, and Little Red has to circle the correct one. Short answer - These are usually one-word or a short phrase for an answer. The format of the questions aren't difficult to complete or comprehend, but they do show me how much Little Red understood from the lesson. I appreciate this because so many times specific subject area curriculum, like science, can actually seem to focus more on reading comprehension than on content comprehension. The activity pages contain a variety of activities - crossword puzzles, word search puzzles, drawing activities, and hands-on activities are just a few of the activities. One of my favorite activities that Little Red has done so far was when she was learning about Science Skills and Tools in Week 3. On Day 4, she had to color a page of flowers certain colors. The flowers had varying numbers of petals. 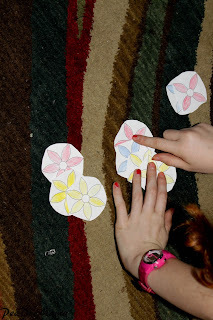 After coloring them, she cut them out and then had to sort them and classify them by color and number of petals. I love, love, LOVE using hands-on activities to reinforce concepts! Introductory Science isn't the only curriculum offered by Science Shepherd. They also offer Biology, Life Science, and Creation Science. 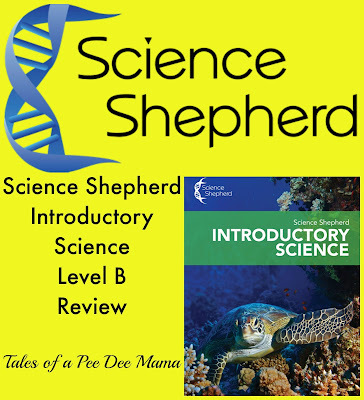 Are you interested in what others have to say about Science Shepherd? Check out more reviews from the Schoolhouse Review Crew.